There are many his & her items on the market today, wedding bands top the list. Other than tying the knot there are sweat shirts, mugs watches and even vanity sinks. 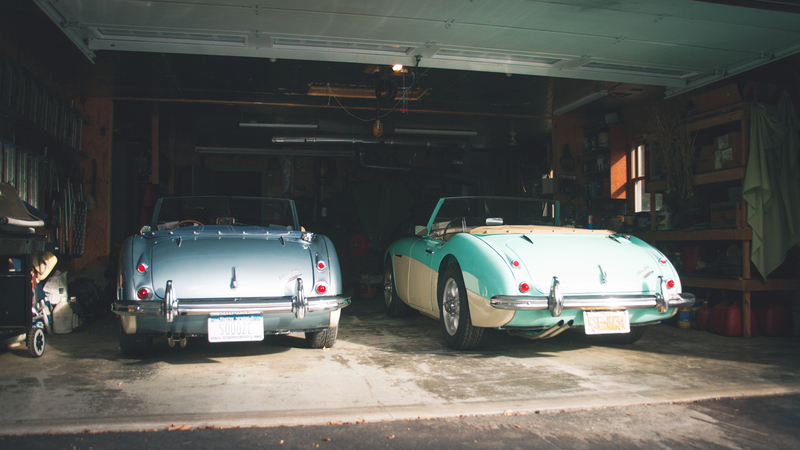 Here’s a Baldwinsville couple with his & her Austin-Healey 3000 MK I roadsters. 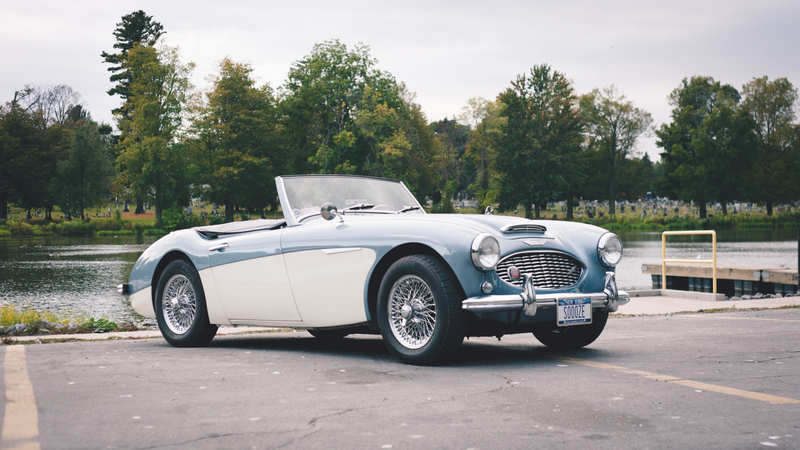 Pete Sanborn owns this two tone “Healey Blue-Old English White” early production 1959 Austin-Healey 3000 BT7 roadster. 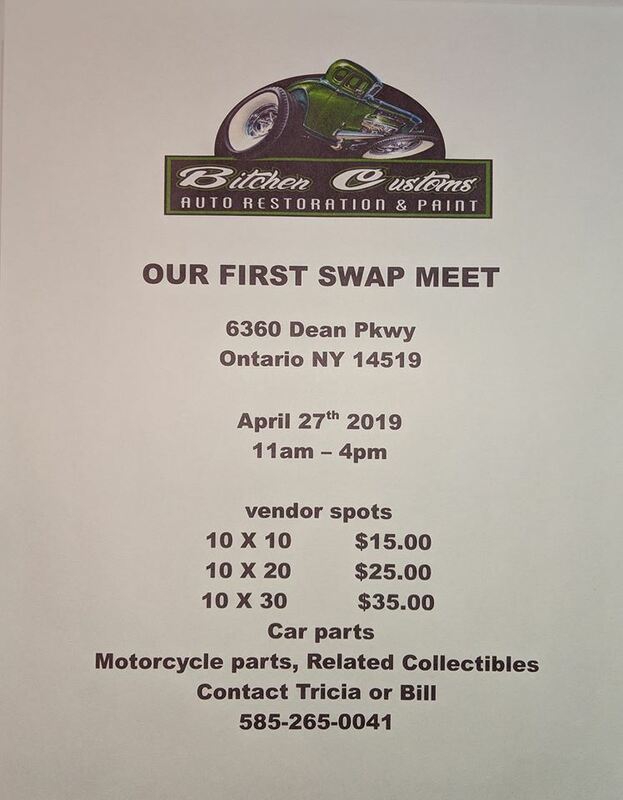 It was found 18 years ago in the Elmira area then brought to the Baldwinsville area for restoration. The previous owner started the disassembly process then after some time life took over as it often does and subsequently sold it to Pete. This is when Pete decided to try his first automobile restoration albeit on a British built sports car. 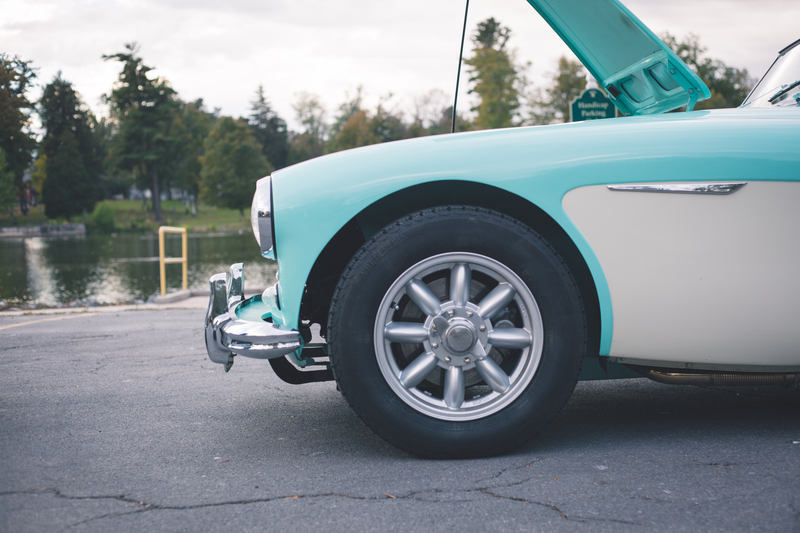 It was five and a half years of knuckle breaking labor, parts searching, late nights which Pete spent on the car before he was able to finally drive it out of the garage for its maiden voyage in 2004. This Healey was like so many others in the great North East, full of rust along with mechanical gremlins which was typical of British cars of the day but nevertheless Pete’s determination and perseverance to learn shown through in the end. 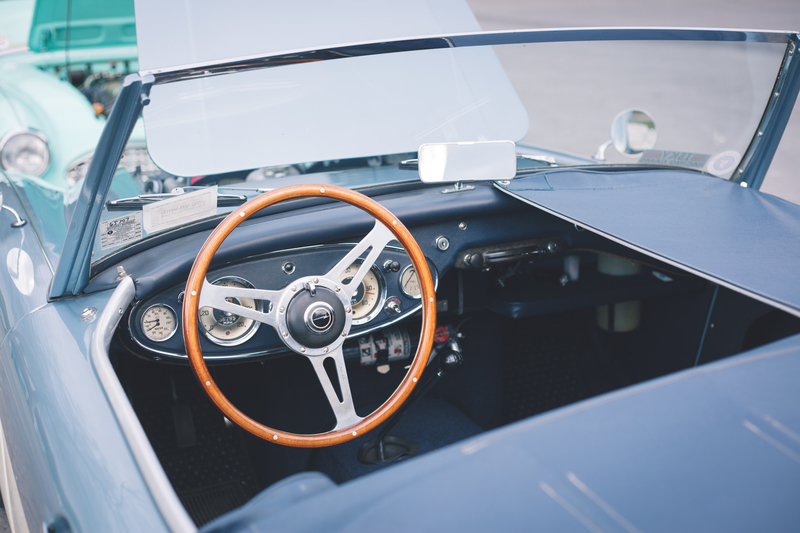 Pete did much of the work himself such as the original quality leather interior, carpet and dash board just to name a few of the areas. 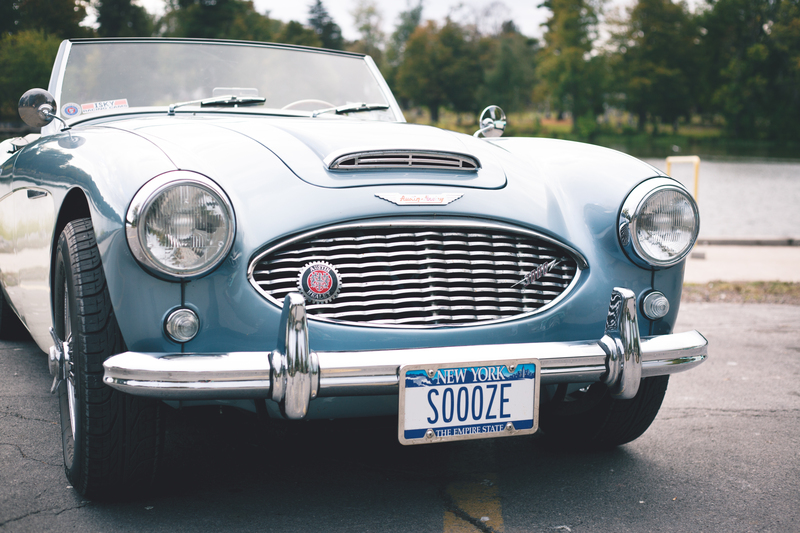 Looking at this car one can vision how a brand new Austin-Healey would be like sitting in the show room of your local sports car center back in 1960. 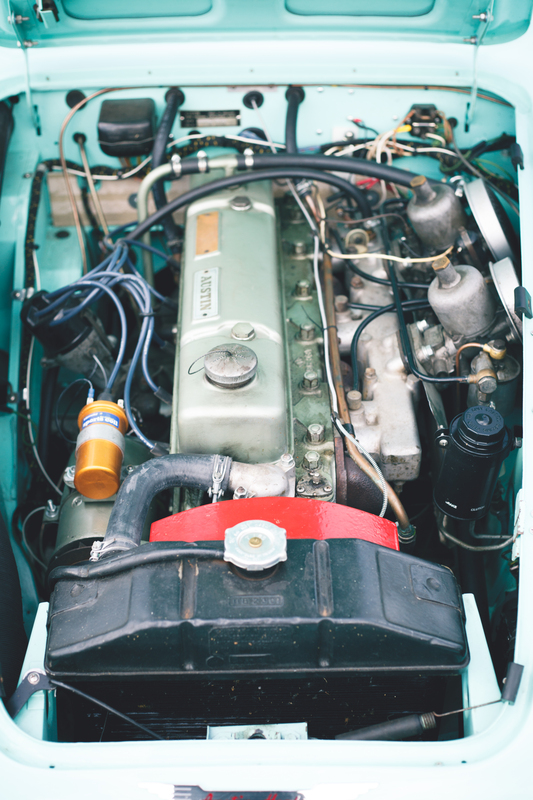 MK I’s came with a 2,912 cc engine, hence the name 3000 with two SU carbs putting out approximately 124 horses. This engine since has been blue printed then rebuilt with a few tweaks that now puts the horsepower in the range of 160-165. 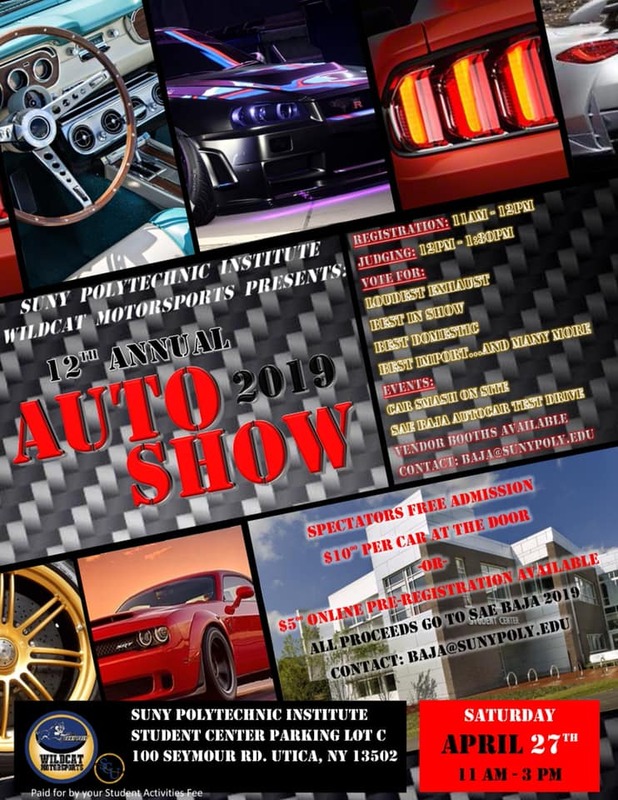 Pretty good for a roadster that weighs in slightly over 2,500 lbs. This bump in horse power would make Donald Healey proud as he was into rallying and racing in the day. 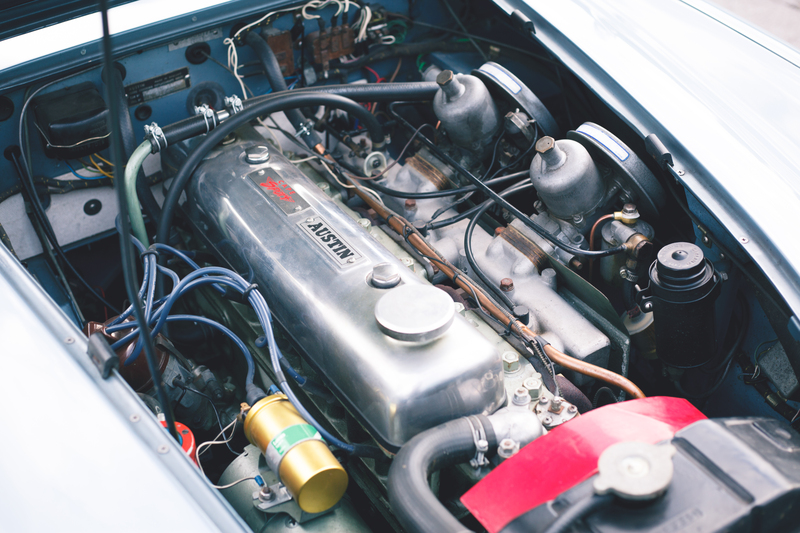 Austin-Healeys have a long competition history, many were raced at some of the major racing circuits around the world along with performing well at rallies worldwide. Pete’s wife Sue has a little different story to tell. 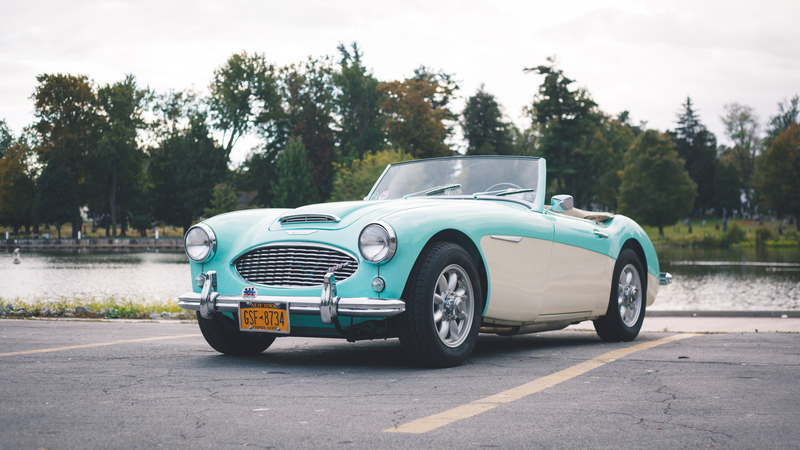 Pete found another Austin-Healey in the Jamestown, New York area. This time Pete was thinking of hot rodding this car until Sue came out to the garage one evening and said, “I like the sounds of that motor” then said “I think that will be my car.” After some talk and similar comments the future of the 1960 “Florida Green-Old English White” roadster took a detour. That was the end of the hot rodding idea. Sue is no newbie to vintage automobiles. At that time Sue was driving a 1979 MGB, previously to the MGB her vintage driver was a 1967 Volvo P122 wagon. One might say she has sports car blood in her veins as her father Art enjoyed owning many sports cars in his day. 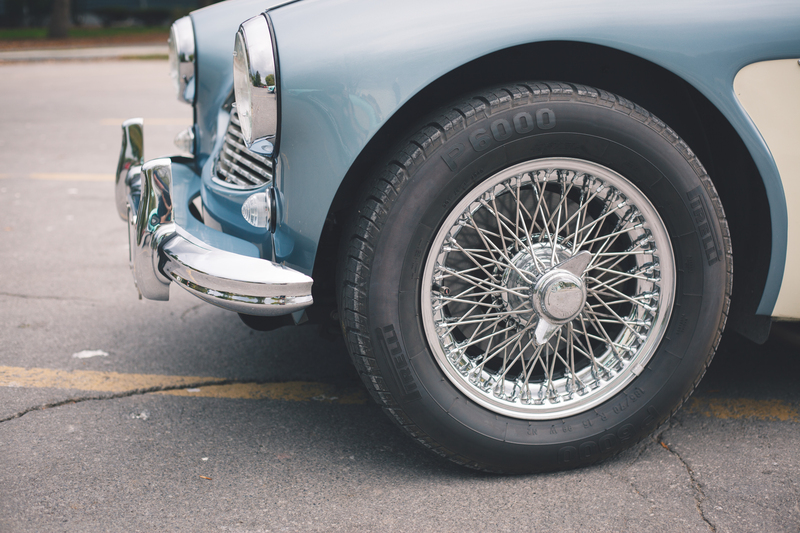 Austin-Healey started production of the 3000 series in 1959, both of these roasters were on the early side of development of the series that seized production in 1967. These fine examples of Donald Healey’s work can be seen driving around our roads in Central New York on any given day. 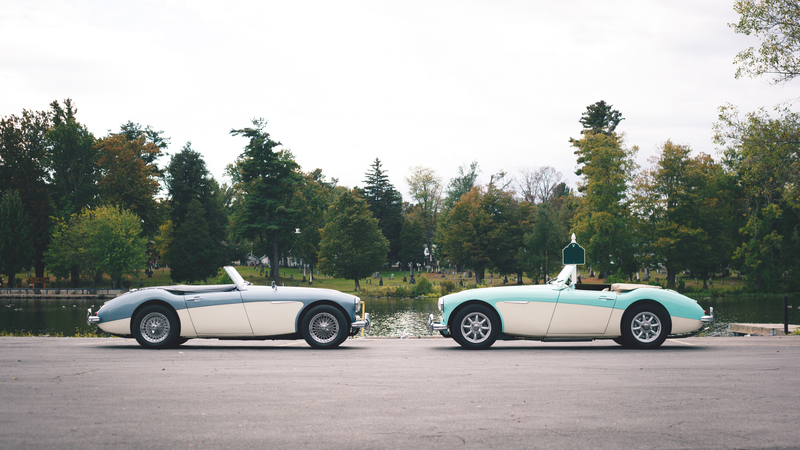 Sometimes one of the cars are taken out for a daily adventure, other times you’ll see both cars out together winding through the hills and curves of Central New York. 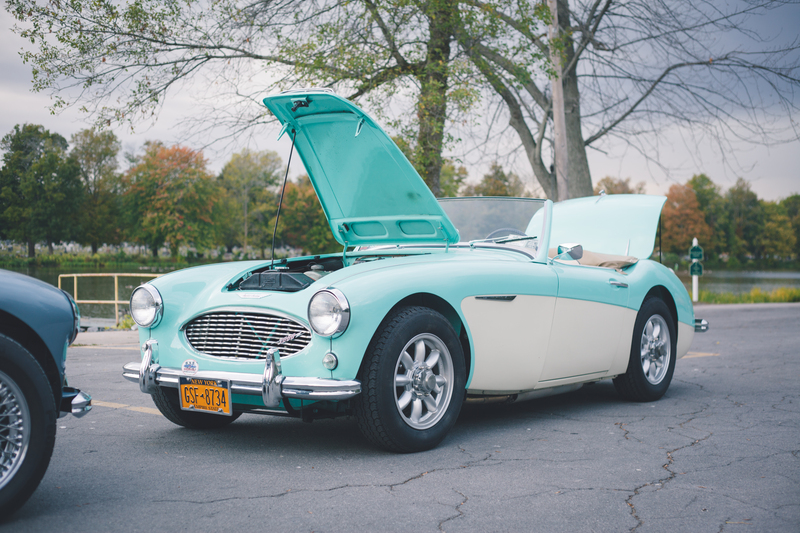 Pete has taken his Healey to the Vintage race weekend at Watkins Glen, NY many times through the years. Last year was the first time the newest addition to the family did this Watkins Glen trek. Pete said this was a daunting weekend as work on the car was just finished hours before the Vintage weekend was to begin. This was the first real test drive of the car for more than just a mile or two and the bugs were not shaken out just yet. 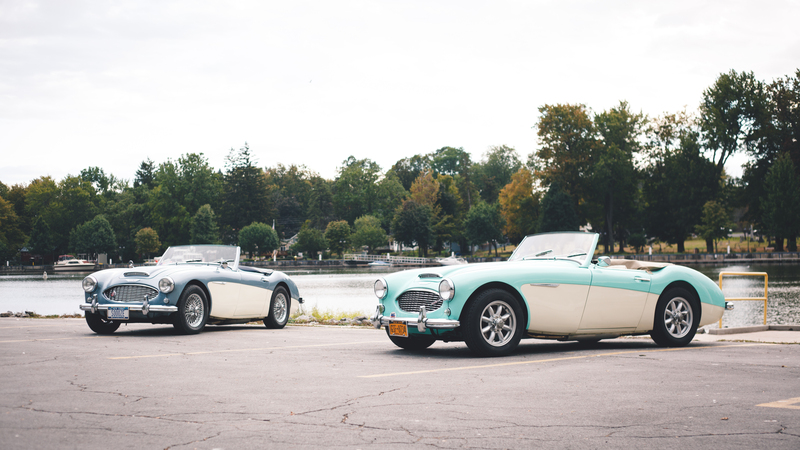 It turned out to be a great maiden voyage for the car, so good they decided to take Sue’s car this past September to the Watkins Glen Vintage weekend again. Sue was seen driving her Healey with Pete in the passenger seat zipping down Main St. Watkins Glen on Friday September 8th participating in a Drivers Bridge event called the “Glenora Run.” This is a road rally of such through the hills and back roads that surround Watkins Glen and a few other small villages. A stop at Montour Falls and a “Hot Lap” in a parking area is also included. A catered lunch is provided at Hidden Valley Camp then two spirited laps around the original 1948 road course which is 6.6 miles in length. After all this excitement the Glenora cars get to rest on Main St. Watkins Glen for the rest of the evening. Donald Healey was a well-known car designer, automobile kingpin, rally driver and a record speed holder. He would be happy knowing that his cars are being used for the purpose they were built for, pure driving enjoyment! Great article Mike. 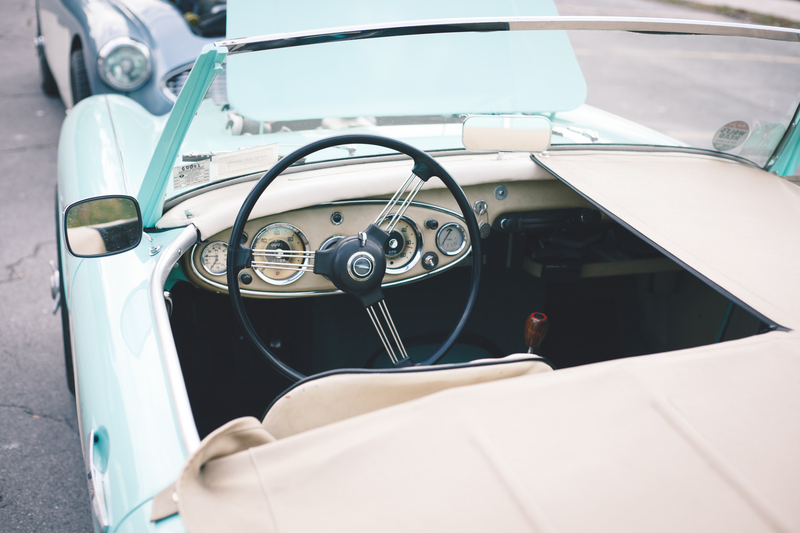 Pete and Sue are wonderfully nice people with a love for beautiful vintage cars.